We’re blessed. Our nation’s public lands are one of the America’s greatest achievements. Every year millions of horse owners across the U.S. visit our federal, state and local parks and other open spaces. And nearly every visit has something in common—trails. Horse owners experience our public lands on trails—whether riding on short paths to scenic overlooks, or taking backcountry wilderness pack trips. Horse trails are such a repetitive theme woven through open lands that they can often be taken for granted. Please don’t. 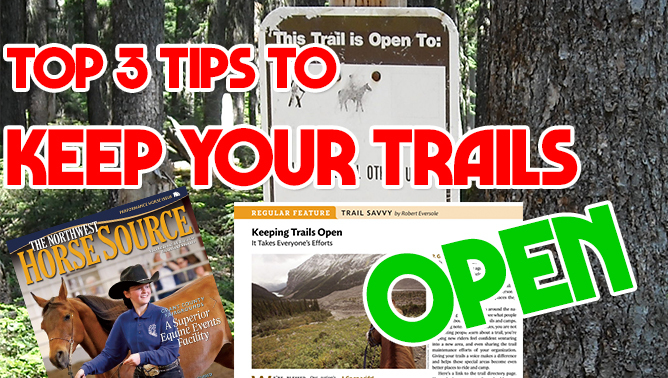 Have you wondered how you can keep horse trails open, even when off the trail? Here are three easy ways to help keep the trails you love open to horse use now and into the future. #1 – Go on a Ride! 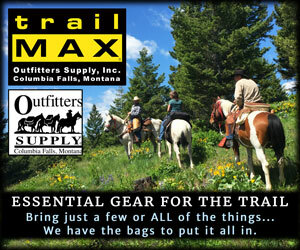 Explore a trail “less traveled.” Observe and share the state of trails. If you’re not out and enjoying your trails, you won’t feel the strong appeal to save them. We can all agree that without more hoof prints our trails will be lost. Please help others discover new places to enjoy and ride by and uploading your favorite trails to TrailMeister.com. Adding a trail area is easy and helps nearly 8 thousand people a day find new areas to enjoy on horseback. For many people, your favorite horse trails and camps are already listed on TrailMeister. Make your voice heard on these areas by adding your ride notes. Ride notes are a way to share thoughts, pics, and even GPS tracks from your rides. Ride notes are a great way to keep horse trails open! #2 – Give your Trails a Voice. Be the squeaky wheel. 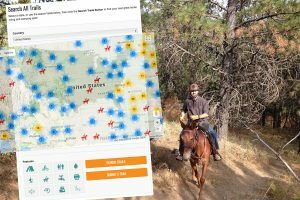 I started TrailMeister over a decade ago to simply provide a reliable resource to help people find places to ride and camp with their horses. It has turned into a tool that gives horse trails a voice by letting people share their personal stories and thoughts about the places they love and enjoy. 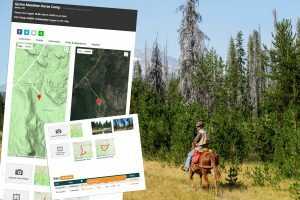 QUICK TIP: Land Managers around the nation are using TrailMeister.com to see what people are saying about their horse trails and camps. By sharing notes from your rides, you are not only letting people learn about a trail, you’re helping new riders feel confident venturing into a new area, and even sharing the trail maintenance efforts of your organization. Giving your trails a voice makes a difference and helps these special areas become even better places to ride and camp. 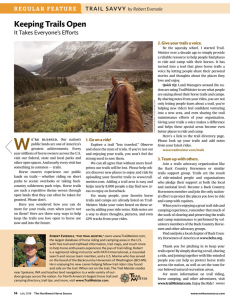 #3 – Join a trails advocacy organization like the Back Country Horsemen or similar trails support group. Trails are the result of ride-minded people, and organizations who pledge their support at both the local and national level. 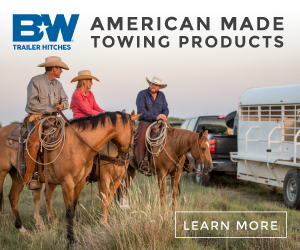 Become a Back Country Horsemen member and join the only national effort to keep horse trails open and protect the places you love to ride and camp with equines. Please remember when you’re enjoying a great trail ride and camping experience, much of the work of clearing and preserving the trails and camp maintenance is performed by volunteer members of the Back Country Horsemen and other advocacy groups. Thank you for pitching in to keep your trails open! By simply sharing a trail, sharing a ride, and joining together with like-minded people you can help us protect horse trails across the nation, as well as set the tone for our beloved natural recreation areas. For more information on trail riding, horse camping and more visit www.TrailMeister.com. Enjoy the Ride!! !